Puffer Plus for Sony/Konica Minolta utilizes a new, larger shield with an advanced, light-filtering textured finish and a convenient sliding rail system that allows for quick centering of the shield over the camera�s pop-up flash, greatly softening the quality of light. Flash diffuser for Sony/Konica Minolta brand cameras. 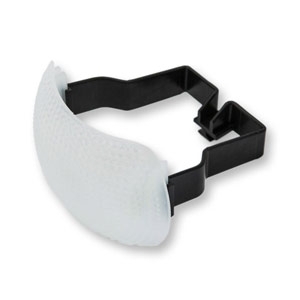 Flash diffuser for Sony/Konica Minolta brand cameras.